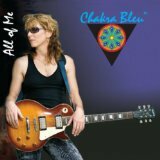 Chakra Bleu is building on her success as a chart-topping Americana/rock/pop artist by releasing “All of Me“, the title track and second single from her most recent album. The “All of Me” single was distributed to radio on April 18. The Nashville, Tenn., artist co-produced the recording with legendary musician John Billings, a former bass player for the late Donna Summer. An accompanying video was produced by Ray Boone of Music City Video. “The Shadow” recently hit number four on New Music Weekly’s mainstream Top-40 chart. It reached number one on the NMW Indie Top-40 chart, where it remained for six consecutive weeks. The artist describes “All of Me” as an “electrifying song” that is about moving forward freely and confidently in love. The video shows the artist tearing up a love letter and covering it with daffodils on the floor. She eventually speeds away on a motorbike, leaving her love-lost past behind. A high-energy stage performance with full band shows off her gritty vocals and elaborate finger work on electric guitar. “All of Me” was recorded in Nashville at Funky Tymz Studio. It features Bleu on vocals and electric guitar with contributions from veteran session musicians John Billings on bass, Brice Foster on drums/percussion, Tom Britt on lead and slide guitar, Ronnie Godfrey on keyboards and organ, and Dana Robbinson saxophone. The single is being promoted to radio by music industry veteran Gary Lefkowith. Whiting Publicity and Promotions is handling publicity. "Chakra Bleu writes and performs soulful, intricate compositions about the trials of life. Inventive and impassioned, she plays music to empower the soul." This album contains a pleasing range of songs to lift hearts and minds. I was pleased to note a timeless quality about most of it. Whilst the songs all retain a freshness and vitality, there are many of them that I could just as easily imagine listening to back in the 1970s and on. I imagine she achieves this perfect blend by having the knack of matching instrumentation and arrangements to moods and emotions without feeling in any way constrained to comply with any restrictive genre classification. I always hesitate to pick out 'favourite' tracks as selection often depends very much on my own mood; having said that, however, 'More Even More' and 'Imaginary Lines' do stand out after my first few listens. But that might say more about my current life than it does about the artistic merits of the songs. At the end of the day I believe that it is more important for music to embrace and enhance emotions, than it is for it to tick all the technical proficiency boxes; sometimes pure technical perfection can be particularly uninspiring! Her press release list a range of adjectives to describe her ability to captivate audiences – 'playful, intriquing, soul-searching, enriching, embracing and mystical' being some of them – in my opinion she certainly ticks these boxes. With “Souvenir” Chakra Bleu’s delivers an inspiring set of light feathered, yet emotion concentrated and insightful tunes. And it’s a set that definitely deserves her international recognition. Generally, this is an up-tempo collection bursting with positive vibes. Chakra Bleu gets caught teasing out the nerves of wonderful county music, crossed with notable pop/rock influences. And she definitely found the way of keeping things fresh and original. As a result “Souvenir” stays pretty much devoit of clichés. Chakra Bleu sings with sugary beauty and her voice, often carrying a slightly bluesy edge, incites magnetic intensity. She provokes beautiful melodies on “Sweet Surrender” and her passionate voice seems to be flawlessly tailored to the menacing atmosphere of “Sabotage”. She remains commendably subdued through the captivating “Still In My Dreams”, her vocal delivery staying elegantly attuned to the haunting, yet subtle slide guitar howls. You’ll sigh, and sink back gently into your chair. As far as riding those country and zydeco tunes, Chakra Bleu executes that lot with considerable aplomb on “Free Again”. With “I’ve Got It Bad” Chakra Bleu never sounded more predatory. The simmering guitar work that stayed displaced for most of the album is suddenly resurrected and put to good use here. On the other hand, “Love Meant To Be” and “She Walks Alone” come as masterful cocktails of graceful pop and country. There are a couple of numbers here content to take the back seat, still “Souvenir” is full of infectious tunes blossoming in musically well raised surroundings. Not surprisingly, the end result is a sweat-soaked pleasure. A review copy of this album was provided by the record label 1746 Records. UNDERGROUND NASHVILLE: After performing dozens of live shows in Nashville during the first half of the 2000s, you dropped out of the club scene for several years. What prompted that move away from performing…and your return now with You’re the One? CHAKRA BLEU: Itseemed at that time that [my] efforts were just hitting a wall. The exposure was still strong, in that many folks were familiar with Chakra Bleu. However, it was frustrating that I wasn’t able to reach the music biz. Music City USA and its music biz still primarily focus on country music. Although, some of my roots embrace that [Americana] style, my past two CD’s were pop/rock. In fact, my 2003 CD, Seize the Day, had the single “Hopelessly In Love” promoted on the Adult Contemporary charts by Tom Mazetta, who’s promoted hits for Elton John, Heart, Paul McCartney, Delbert McClinton, Tim McGraw, Martina McBride, etc. Unfortunately, this CD didn’t catch the attention here in Nashvegas…my beloved town that I just won’t give up on. Meanwhile, I had made several changes in my band that weren’t feeling quite right. I decided to veer away from the “band thang” and solo it out awhile. Jeez…I mean [being in a band] is like being married to five people at once! [Laughs.] One lover at a time for me is enough, let alone deal with my own schtuff! Being ‘Chakra Bleu’ [just by myself] was such a relief. I felt synced into this comfortable new identity, and took a brief exit from performing live, so that I could fire up very commercial pop and Americana songs that would be favorable to all age groups. I spent weeks at a time in mountain and lake cabins, concentrating on coming up with at least 40 new songs to choose from for the next two CD’s. I chose a CD Planning Committee to help chose the best commercial direction on this new CD, included [selecting] the songs, the theme of the CD, the ‘vibe’, the photos, etc. UN: In what ways is You’re the One distinctive from earlier Chakra Bleu albums? And in what ways does it walk the same pathway as your earlier work? CB: This album has 16 songs, of which only two are “food for thought”/introspective songs. The direction of this CD was “light-hearted love songs,” which were youthful, upbeat, and hopeful—especially to off-set, if you will, the counter-active struggles of today’s economy, and the stress that is obviously affecting 95% of us. The fourth cut on this CD, “Sunflower of My Dreams” became the under-current of this album, in that the sunflower itself, and its symbolism, became the theme. The symbol of the sunflower includes that of hope, success, fulfillment, prosperity, health, devotion, peace, and happiness. The comments from the fans so far consistently have been that, indeed, this CD is uplifting and hopeful…a light in this darkened time of their lives. So, this CD is on the same “path” as the previous. Each CD contains, first and foremost, the vibe of an uplifting and empowering quality. Also, each CD contains particular songs that offer introspective, message-related qualities. They surpass religious agendas/dogmas, and allow all to question life, hopefully leading to further insights that can bring one more awareness into their life…more joy, simply put! "Empower-Pop With Substance' is the motto placed on all of Chakra Bleu's promotional material. This artist is actively meeting this goal. This is a rare commodity in Nashville. Most acts performing live in this town consist of some front person who paid or cajoled a collection of musicians to play with them that night. The revolving doors bring on different players each time and the same players in so many different groups. The musicians are usually fine (this is Nashville) but when they're looking at charts there isn't a band dynamic. Chakra Bleu is different. She arrives with her players that are cohesive and who interact beautifully. No heads buried in music stands here. They perform instead of merely 'play'. Chakra Bleu's music is in the Pop-Rock/Americana vein. The lyric content is never drab or dreary. The stated intention is to provoke thought and offer ideas that might just improve society. Sometimes mysitcal and mysterious, other times offering basic observations of the muman condition, the music is always sincere and credible. Chakra Bleu has gotten her music onto playlists throughout the United States and Europe with the help of national and local promoter's, Tom Mazetta and Bill Wence. She is regularly receiving favorable reviews. This is an ever evolving act that seems to be making all the right moves." 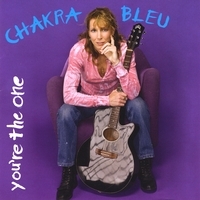 "Chakra Bleu promotes positivity...The band has gotten strong international response to the Hidden Mirror from stations in Denmark, Germany, Ireland and France. Its lyrical content is alternatively catchy, inventive, and unorthodox." "The CD titled The Hidden Mirror is soulfully intruding. It positively moves the spirit while capturing the heart. A strong harmonious voice, Chakra Bleu delivers such haunting vibrations in the songs, 'Land of Nod' and the 'Hidden Mirror' that will leave one wanting more. The vocal energy is electrigying and with each song magnifies the talent in this band. 'Tower of Babel' and 'Everyday's a Rapture' displays such soul-searching lyrics only a passionate singer can deliver and deliver is exactly what Chakra Bleu does!" "We broadcast many cuts from your CD because we are very fond of what you do. The music of Chakra Bleu is very passionate, putting your heart into every song that you sing. With clear, strong harmonious vocals, you deposit in our ears, in our bodies, in our souls and hearts: Bubbles of Musical Poetry." Nashville-based recording artist:Chakra Bleu, brings us a very catchy, positive, uptempo Pop tune. It’s all about the spirit and good vibes, while “Hopelessly In Love” serves as a showcase for this very talented singer. The quality is in the music and there’s much quality here. "The Hidden Mirror CD sounds very good. Audience response is excellent, especially for 'Wild West,' the 'Hidden Mirror' and 'Save the Souls." "This CD is excellent! At present, our listeners like best, 'I Want to Know', 'Shoulda Coulda Would've', and 'Save the Souls." Is it me or does it seem that the number of outdoor concert series is exploding this summer? ..Barrister Winery has been doing Wednesday night shows, at the winery from 6 to 9 p.m. Private events take priority in the winery's garden courtyard. This week, Barrister will be hosting a Spokane native who's now making music in Nashville. Chakra Bleu plays her brand of pop Americana in Nashville venues such as 12th & Porter, Bluebird Cafe and the Basement, and she's found fans in such far-flung places as Japan and Europe. She's coming home to visit and will make a stop at Barrister for a free show. "All of Me" is the title track and the second single from her current album. Its number one ranking on the NMW Top 40 Indie Chart for two consecutive weeks placed it above other songs recorded by artists such as Rhianna and Brandy Moss Scott. The song ranked just below Taylor Swift at number four on the Top 40 Main Chart (for two consecutive weeks) and number eight on the Hot 100 Chart. The artist describes "All of Me" as an "electrifying song" that is about moving forward freely and confidently in love. The video shows the artist tearing up a love letter and covering it with daffodils on the floor. She eventually speeds away on a motorbike, leaving her love-lost past behind. A high-energy stageperformance with full band shows off her gritty vocals and elaborate finger work on electric guitar. The single was recorded in Nashville at Funky Tymz Studio. It features Bleu on vocals and electric guitar with contributions from veteran session musicians John Billings on bass, Brice Foster on drums/percussion, Tom Britton lead and slide guitar, Ronnie Godfrey on keyboards and organ, and Dana Robbins on saxophone. The single is being promoted to radio by music industry veteran Gary Lefkowith. Whiting Publicity and Promotions is handling publicity. NASHVILLE, Tenn. (July 2015) – Some Nashville songwriters pen songs in their living rooms, others in the cozy writing rooms at ASCAP and BMI. But for pop/rock/Americana artist Chakra Bleu, a native of Spokane, Wash., successful songwriting wouldn't be possible without solo excursions into the great outdoors. Her "songwriting adventures" as she calls them are a way to bring "wonder, awe and gratitude" into every song she writes. On July 31 (Friday), the East Nashville artist will take her guitar, notebook and pencils to the mountainous Spokane region for what she hopes will be her most inspiring writing sabbatical yet. She will spend almost three weeks alone at a cabin in the rural inland Northwest, writing melodies and crafting lyrics with daily breaks for hiking, roller blading and meditation. This fall, she will do the same thing near Asheville, N.C., in Pisgah National Forest. "The utter peace, adventure and wonderment of the great outdoors calls to my heart and inspires me on so many levels," said Bleu, whose latest single "All of Me" has topped New Music Weekly's Top 40 Indie Chart for five consecutive weeks. "I focus completely and solely on writing songs or melodies at those times. Both cabin locations are close to a lot of mountains and natural water, be it a lake, streams and river, and have access to hiking trails and greenways." Chakra starts each sabbatical morning with a meditation (her songwriting multi-vitamin) to clear her mind and free up her creative spirit. She eats fresh organic yogurt while reviewing a new lyric or melody she wrote the night before. She then takes a four to five-mile walk with pen and paper in hand, thinking of ways to expand and/or build on her ideas. The tunesmith plans to write up to a dozen full song melodies during her Washington sabbatical, recording rough versions with a small, portable tape recorder. She will play the melodies back again and again in Nashville before penning lyrics during her October songwriting adventure in North Carolina. "While playing back a melody, I tune into my feelings, asking myself what the song might be about," the artist added. "Before long, I start getting ideas for a particular direction. Sometimes, I just start hearing lyrics, perhaps part of a phrase. Then I start the process of building a story." That's just what happened with her latest hit song "All of Me", which currently sits at number one on NMW's Top 40 Indie Chart, number two on NMW's mainstream Top 40 Chart, and number seven on NMW's Hot 100 Chart. The music was written at a lakeside cabin in Washington. She added the lyrics while on a songwriting adventure near Asheville five months later. The melodic theme under the words "I want to know" was inspired from a Chickadee songbird that she heard while on a camping trip in the Cumberland Mountains of Tennessee. To watch the "All of Me" video, visit https://youtu.be/OLvBUksVBKc. Bleu noted that her song, "Sunflower of My Dreams", was written after she roller bladed through a field of Washington sunflowers. "The sunflowers evoked a feeling of joy and happiness in me," Bleu continued with a smile, noting that the song is featured on her fifth album, "You're The One". "I noticed how they were all facing the direction of the sun. Once back at the cabin, I researched the symbology of the sunflower. The next morning, I started hearing the beginnings of a beautiful melody in my head, which I started writing down immediately. I finished the rest of the melody once back in Nashville, whereby I wrote the lyrics several months later in the Blue Ridge Mountains." Other songs created during her writing adventures include "Footprints in the Sand", "Hidden Mirror", "Retreat to the Center", "Believe in Me", and "You're What's Missing". Bleu will take a short break from writing on Aug. 10 to appear on the "Good Day Spokane" talk show, airing live on Fox 28-TV. The artist's passion for hiking, climbing and camping in the great outdoors isn't limited to her two annual songwriting adventures. She set out on her first backpacking trip into the Cumberland Mountains shortly after moving to Nashville in the 1990s. She knew she was addicted soon after she hit the primitive camping trails toting a backpack, cooking gear and flashlights -- although a bad thunderstorm, red ants, ticks and chiggers gave her a few second thoughts. "The desire to know how to backpack more efficiently led me to take some classes at REI," Bleu added. "From then on, I've been backpacking in places near Nashville such as Savage Gulf, Fall Creek Falls, Virgin Falls, Frozen Head, Pickett State Park, and Big South Fork." Bleu also has taken numerous hiking and climbing adventures in Idaho, Montana, Wyoming, Colorado, Washington and other states in the Northwest. During a recent trip to Montana and Idaho, she joined friends for a rugged outdoor adventure that included climbing a three-pitched granite rock called "Cruel Shoes", riding bikes up and down steep mountain roads for miles, and hiking cliff-hanging trails thousands of feet above sea level. She ended her trip by hiking to a mountain-fed lake on Jenny Lake Trail in the Grand Tetons. The artist says her backwoods jaunts in the South are just as exciting, although with a few annoyances. "You can expect to get a few hitch-hikers, namely ticks and chiggers, and see a copperhead snake or two on the trail or swimming in the water with you," she laughed. "I've been grateful not to encounter a wild boar or angry momma bear. Yet, I hang my food at night and depend on my dog's nose and ears to give me fair warning of uninvited critters coming into my camp." Although Chakra doesn't believe her songwriting adventures are for everyone, she encourages creative types to get outdoors. She's run into a few of her peers during day hikes near Nashville, including Percy/Edwin Warner parks, Radner Lake Trail, Long Hunter State Park, and Montgomery Bell State Park. "The delicacies of nature are divine and wondrous," said Bleu, who also sidelines as a visual artist. "I actually get into looking at the details of a petal of a wildflower, counting its petals and looking at its unique shape, color and texture." Born and raised in Spokane, Wash., Bleu grew up with a passion for music and the outdoors. She started writing songs in middle school and performing with jazz choirs and grunge, rock and country bands in high school and college. On weekends, she headed to the mountains for hiking and camping. After college, she lugged her guitar and synthesizer to Paris, where she taught English at the French/American Language Academy for a year. She spent the next two years back home in Washington working in secondary education. But a trip to Nashville changed her life. Successful performances at the Bluebird Cafe and other venues convinced her to move to Music City to pursue a professional career as a singer-songwriter.